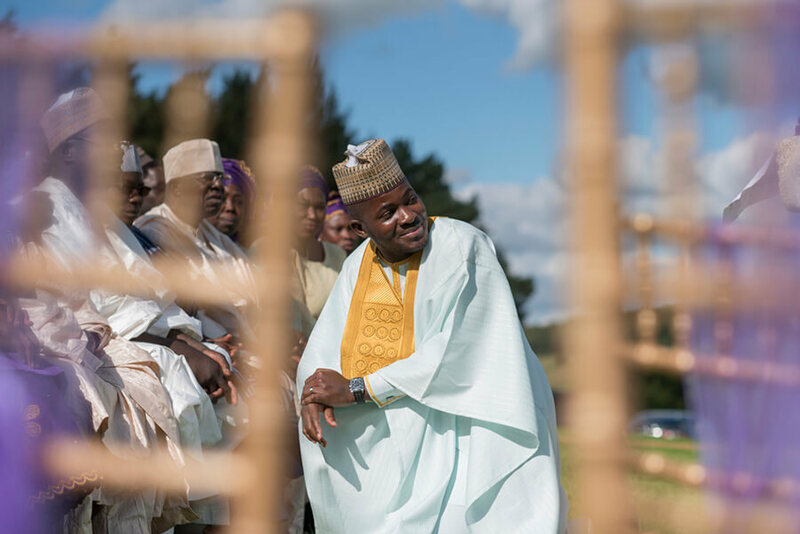 Saratu & Kishsi | Welcome to the Most Joyous Wedding of the Year. Welcome to the most joyous wedding of the year. If you’d have been wandering through Braisty Woods near Harrogate last week, you’d have come across something rather unexpected. 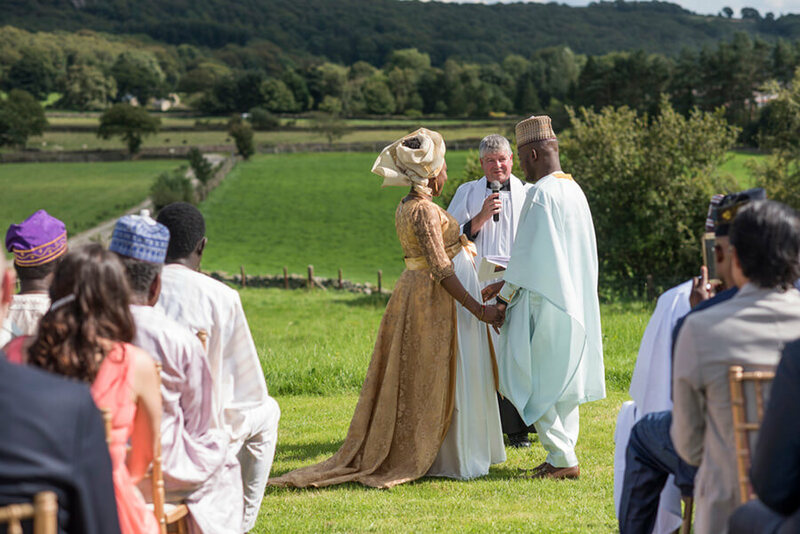 It wasn’t simply the fact that there was an outdoor wedding in progress – with a grand marquee dominating a field beyond the treeline. 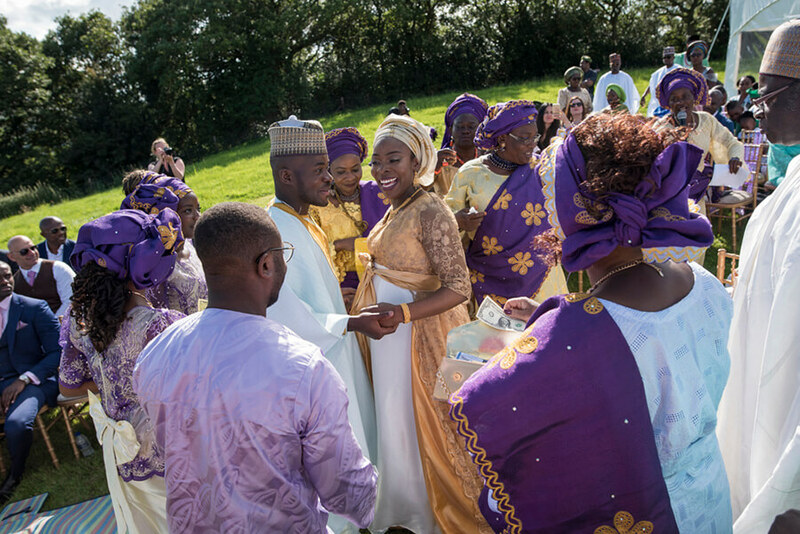 It was the fact that this was an African wedding – with gold and purple the dominant colours, shining beneath a warm summer sun. 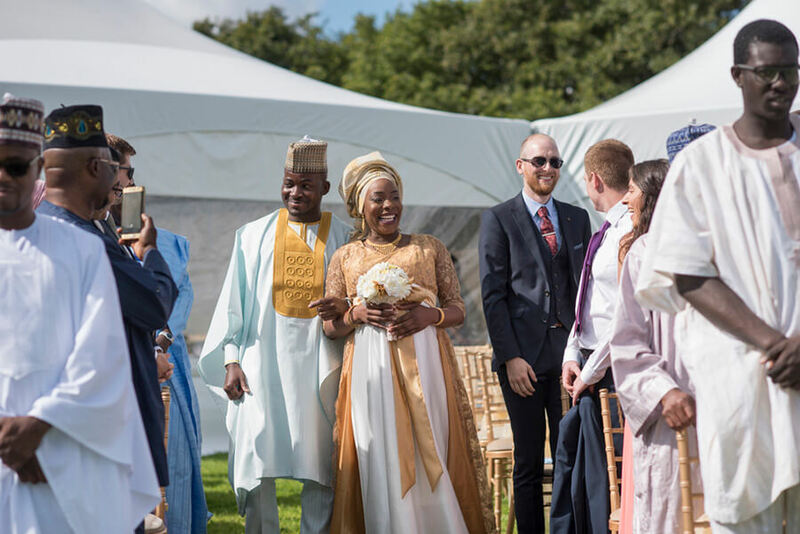 The ceremony was a standard civil one, followed by a traditional African, the dancing was exuberant, the engrossment (and involvement) of the guests total, and the mood utterly joyous. 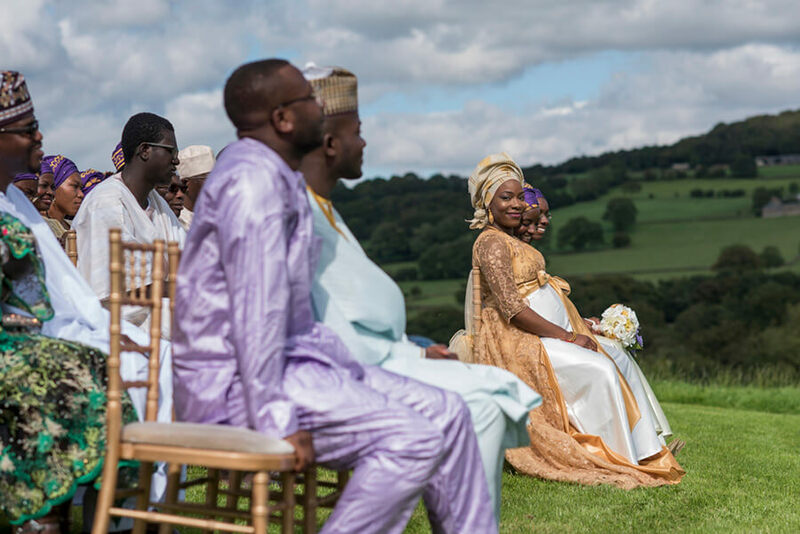 As a Lancashire wedding photographer (yes, I was interloping over the Yorkshire border in this case), I see lots of weddings and they are all joyous occasions, but I struggle to remember one which wore its happiness quite so openly. It really made it a pleasure to shoot. Can I help you capture the joy of your wedding? 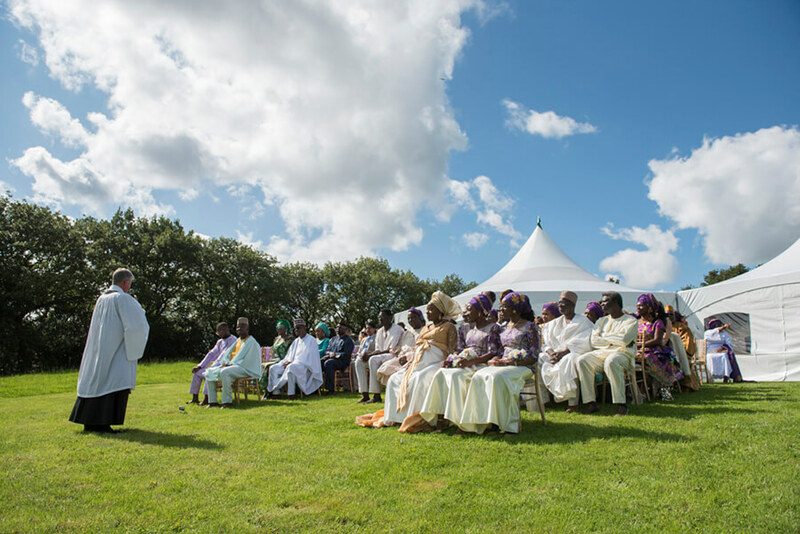 If you’re still searching for your Lancashire wedding photographer, you’ll find me here.